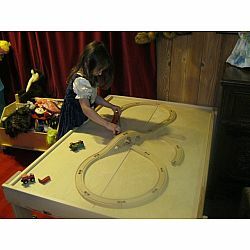 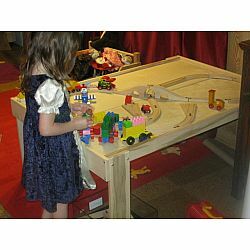 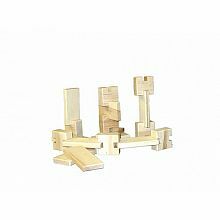 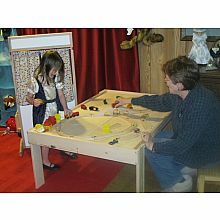 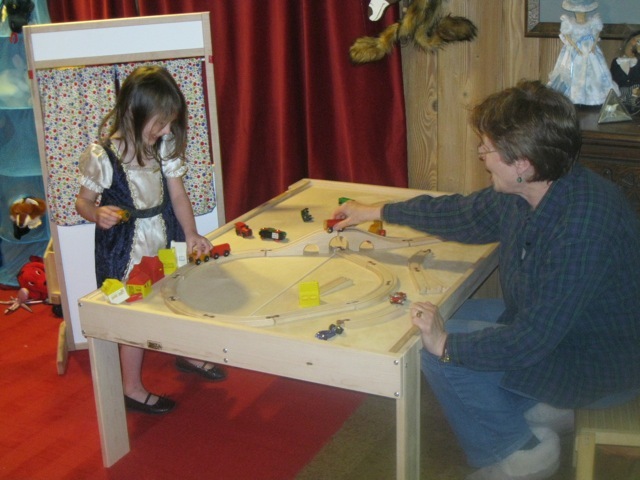 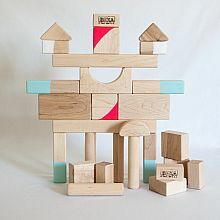 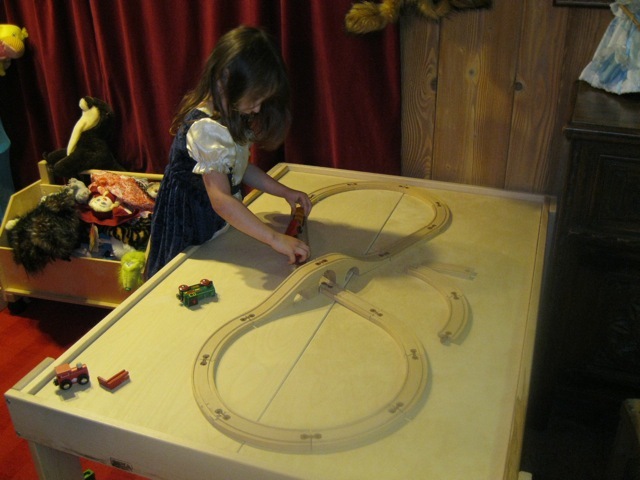 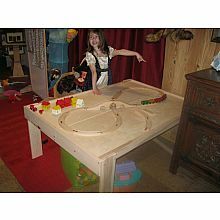 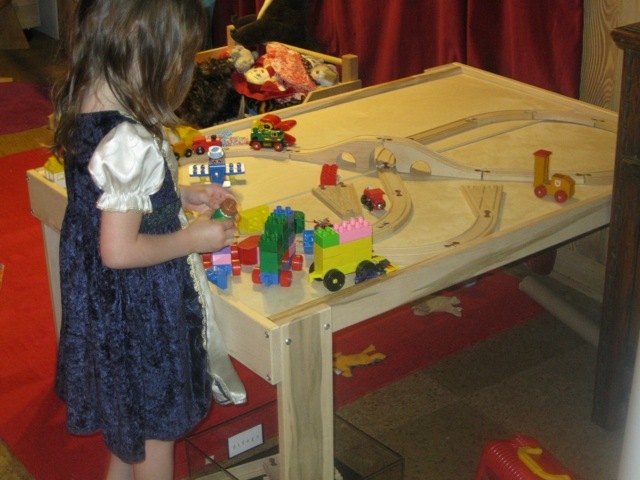 Our Hard Maple Train Table stands 20-1/4" high and comes with a two piece Baltic Birch top that encourages open ended play... no graphics telling a child what to imagine or how to play. 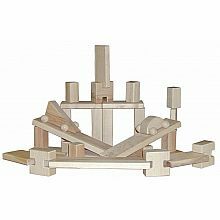 Built for strength, as well as beauty, Beka's original design easily supports all the weight you'd imagine it to encounter...and then some. 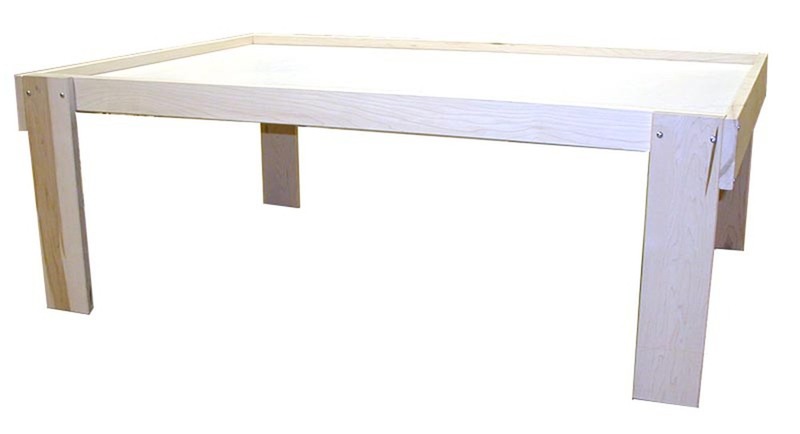 Our wood components (hard maple and baltic birch) include natural color and grain variations, making a beautiful wood table. 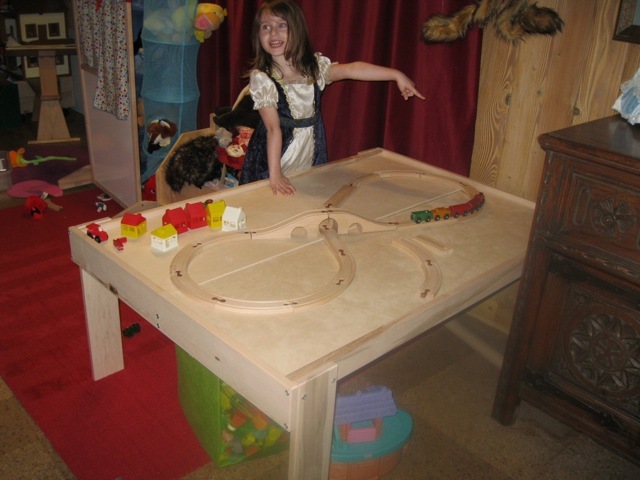 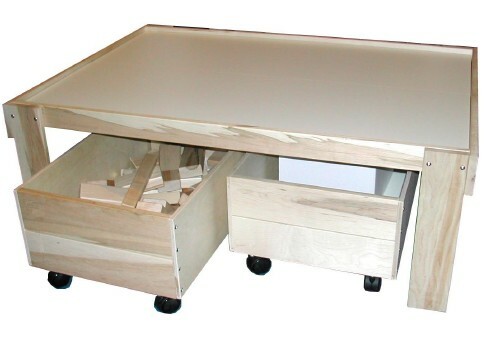 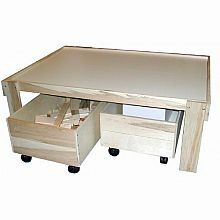 The recessed top helps keep small toys and game pieces on the table....and off the floor. 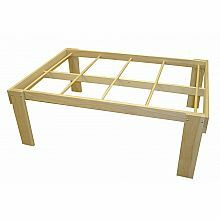 Top pieces are sized to allow some wiggle room, so installing them is easy. 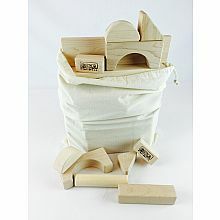 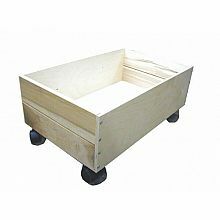 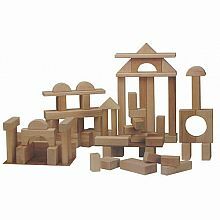 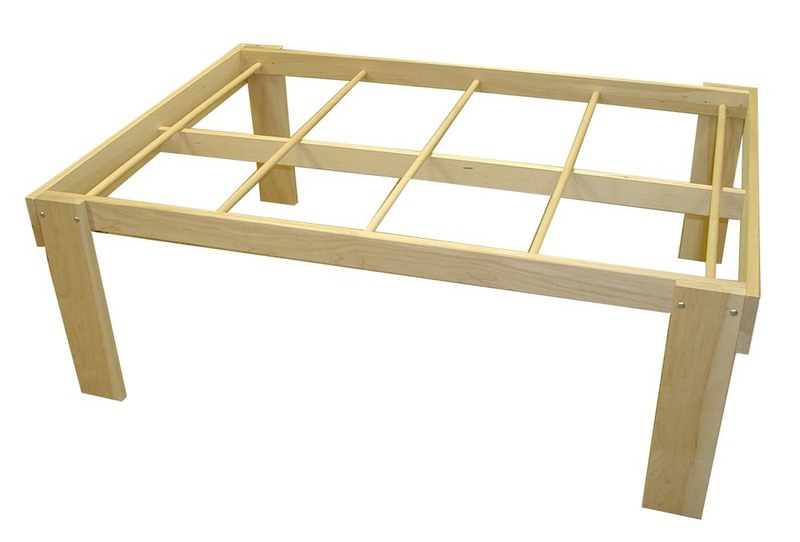 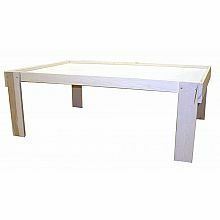 We like Baltic Birch for its lasting stability and strength; you will too! 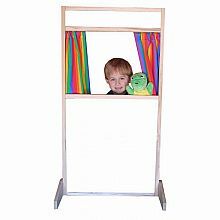 Measures approximately: 35.00 x 49.50 x 20.25 inches..